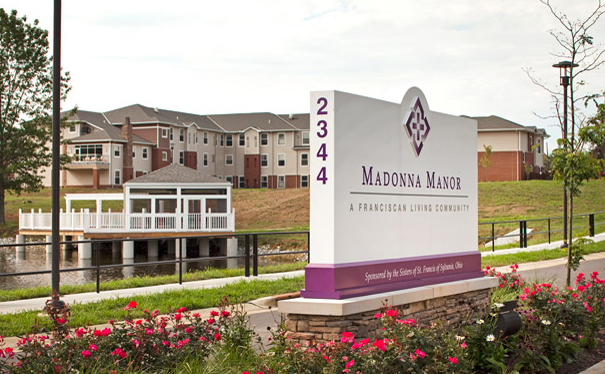 Design Collective Incorporated created "a feeling of home" at Madonna Manor, in the rolling hills of northern Kentucky. 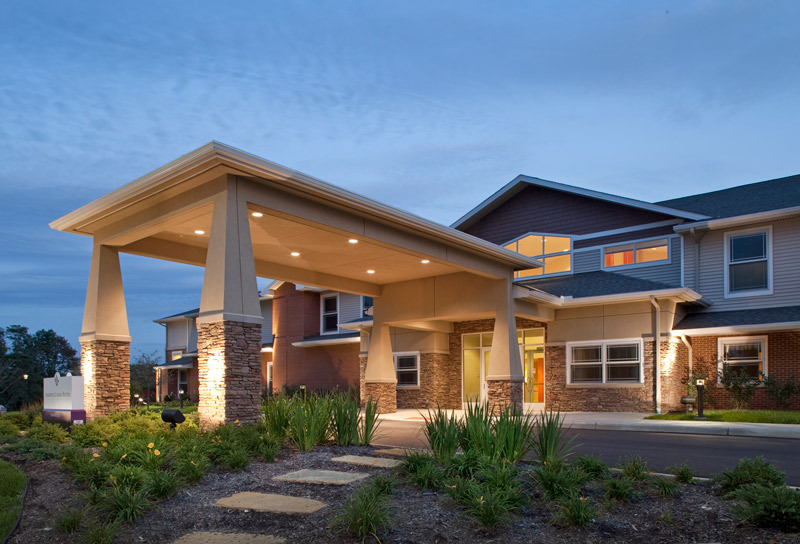 The 104,000-square-foot senior-living residence offers Personal Care apartments, as well as Skilled Nursing "households," where residents' private bedrooms and bathrooms open out to a shared living room, den, and family-style kitchen and dining area. Other amenities include a Physical Therapy Center, Spa, Salon, Cafe, Activity Room, and a Dining Room.